This morning at 7:30 am, St Paul will lose another piece of it's skyline. 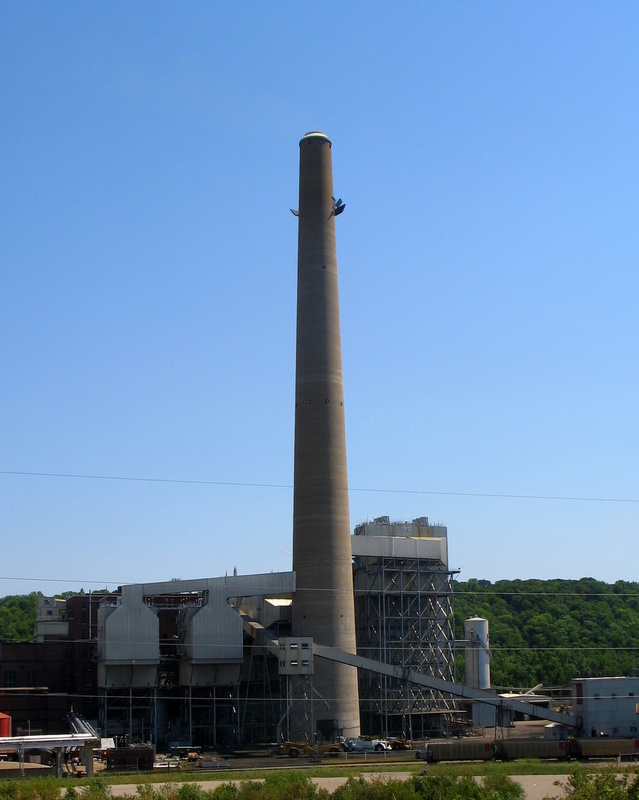 The old NSP plant, now the Xcel Energy Plant, which is no longer a coal burning power plant will demolish it's 570 foot smoke stack. This will wake the neighborhood. I know the plant is being converted to a different type of energy plant, but I cannot recall exactly what type at the moment. Whatever is to become of the energy plant, the smokestack is useless for the future. Down it will go with 200 pounds of explosives. I unfortunately will not be able to attend the demolishion. This is my busy season at work and I must pass up this event. Though, I do have several photos of the smokestack, I will take some photos after the event has taken place with the new void in the skyline. I took about 110 photos during the fall. Here is a sampling at Flickr for ya. The fall was nice and loud and created a nice breeze for a second. Do They Build Houses Like This Any More?